I have a confession to make: I like to dance. It is a relatively new discovery in my life. 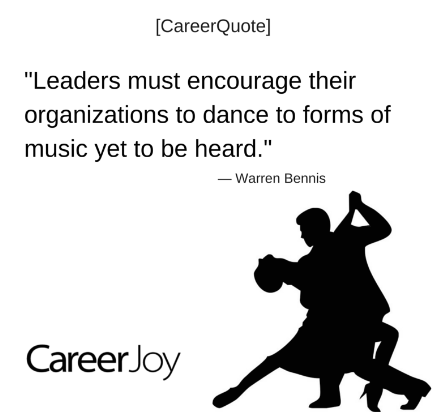 Leadership is a lot like dancing. At times you move two steps forward and then one step backwards. It can be both deeply rewarding & sometimes frustrating at the same time. Today is International Dance Day and there really is a truth that leadership is a dance. Dance like leadership incorporates both art and skill. If you want learn how to dance better watch the video below. There is a balance of leading and paying attention to your actions and your heart. P.P.S. RSVP to our upcoming CareerClass webinar: Leadership Begins With You!Wednesday May 4 @ 12pm ET. Click HERE to join us!